Setting up personal health records on cloud addresses the need for protecting the privacy of personal health information. Personal health records provide a simple and efficient way for health information to be shared, and are typically outsourced for storage through third parties that include cloud. While patients want to be able to access their health information, they need to be assured that it will not be unwittingly exposed to other servers or people. Your need for privacy and access control is addressed through the encryption of your health records before they are outsourced. In order for you to be able to control who can or cannot access your information, you need to be able to overcome the challenge of privacy management. Considering the nature of your health records, you may also want to authorize access from time to time if you need someone else to review your information. Setting up your records on cloud will provide you with peace of mind because it guarantees that your patient records will be kept private and give you control over who has access to them. The use of cloud computing helps to deal effectively with privacy concerns that patients have. Online personal health records tend to contain sensitive information that needs to be adequately protected. These records bring your health information together in one accessible place to make it easier for you to keep track of your health. If you receive treatment from different healthcare providers, their services will feature better coordination. Online resources and apps are available to help you set up and organize your health information easily. You will be able to store your records and control data accessibility. The http://www.hfa.co.in/forpatients.html - HFA guide managing your family health is a useful resource for information regarding the role of electronic health records in preserving good family health. Accessible health records for everyone in the family provide the best way for people to monitor different aspects of their health. It becomes extremely challenging for you to maintain the good health of your family if you do not have access to their health information. Every individual in the family has their own health care needs that may require addressing from time to time. This makes it necessary for you to digitize your medical records to improve how you handle the health of the people you care about. When your physician has direct access to your medical records, you can expect efficient services that will save you time and ensure that you get the quality care you need. Doctors need to be able to manage each of their patients and individuals since medical cases are varied. Electronic health records allow doctors to review each medical case differently to provide accurate diagnosis and appropriate treatment. 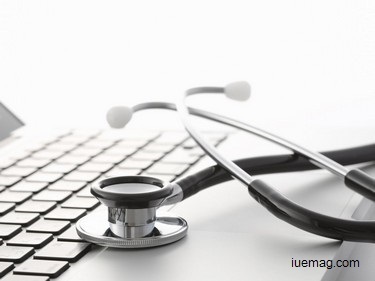 Electronic health records are mutually beneficial for patients and their doctors. http://www.medcheck-up.com/importance-unified-medical-information-delivery-system-laboratory-practitioners - Check out the medcheck-up's guide on UMIDS for insight into the effect that information delivery systems have on family health care management. Such a system securely brings together health care teams and improves health care accessibility as well as management. Any facts, figures or references stated here are made by the author & don't reflect the endorsement of iU at all times unless otherwise drafted by official staff at iU. This article was first published here on 4th May 2015.